I was introduced to the Hot Bird girls through work. My company's HR/Healthy Living program invited Jessica and Megan in for an 8 week running clinic over the spring/summer of 2012. I had been toying with the idea of running my first marathon but wasn’t sure how to properly train for 26.2 miles. So I immediately signed up for the clinic and after meeting Jessica and Megan I was instantly hooked on Hot Bird Running. Well…my ORGINAL goal was to run the 2012 ING NYC Marathon. However, when the marathon was officially canceled due to Hurricane Sandy I knew I needed another challenge. My CURRENT goal is to now run the 2013 ING Miami half marathon and achieve my PR of 1:55. Thankfully, Hot Bird Running has helped me safely and smartly transition from full marathon into half marathon training. 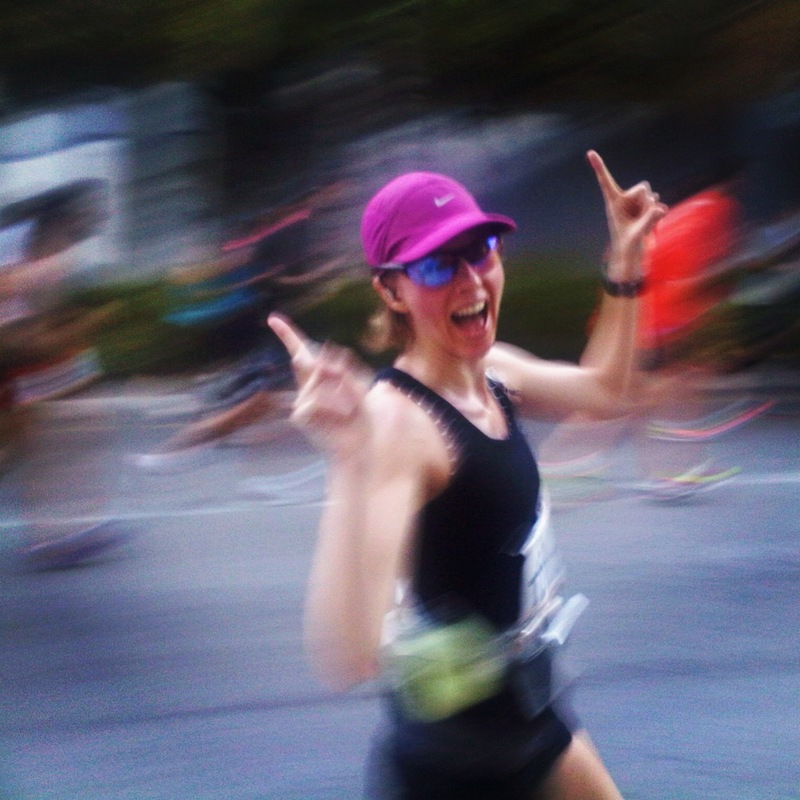 And finally, my FUTURE goal is to retrain and run the 2013 ING NYC Marathon. Actually, it is my overall determination that inspires me. I enjoy working towards an end goal because that’s what motivates me to get out of bed and work out every morning. I also need to have a day-to-day training schedule because then I take ownership of my training and hold myself accountable. It has been inspiring to look back at my commitment to running over the last 8 months. I have seriously pushed myself to run distances I never thought I could. In the summer, I spend my weekends in a quiet little Hamptons village near the beach. My route includes fields of farmland and serene ocean views. I love that I can run for miles and miles and never once stop for traffic lights. When I'm back in the city, I enjoy running through the different NYC boroughs. My favorite is running from Queens back to Manhattan because I have to cross the Queensboro Bridge. I get so pumped up as I’m trudging up the bridge because I envision myself running in the NYC Marathon. I've heard that the cheering crowds are electrifying as you come off the bridge and enter Manhattan. I love running with my boyfriend because he gives great advice and pushes me to run a faster pace. However, he is a short distance runner so I'm often on my own. I really enjoy running by myself because it gives me a chance to relax, clear my head and focus on my pacing. I have a history with running injuries and my mentality has always been to "run through the pain". Unfortunately, I learned the hard way while training for the 2010 Nike San Francisco Half Marathon. I decided to race while still injured and then had to spend an entire year recuperating from severe tendonitis. Hot Bird Running has taught me to listen to my body and back off if something doesn't feel right. Jessica once told me that a person can prevent a serious injury by simply taking one or two days off from running. Stopping when there is a problem gets you back to running in the shortest, safest amount of time. Best advice ever! Tough question because I have too many favorites! But overall I'd have to say my iPod Shuffle, which is loaded with early 90's rock. I wouldn't be able to get through my long runs without Nirvana, Beastie Boys and some Rage Against the Machine.